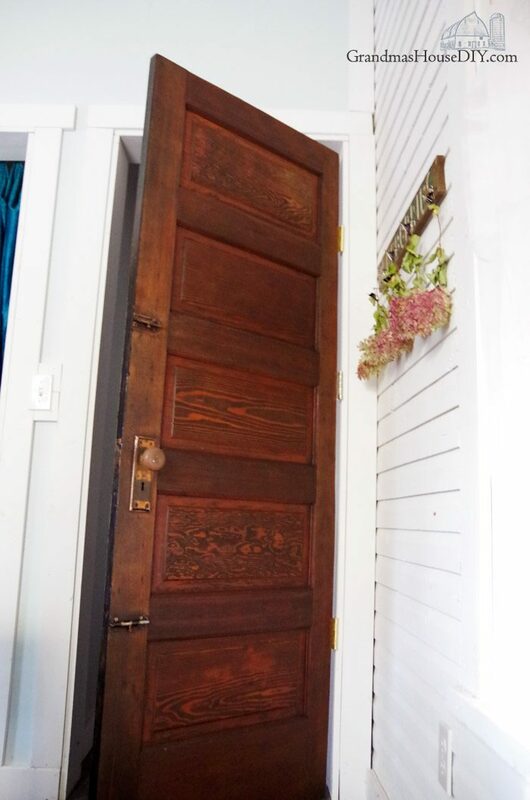 How I refinished a 100 year old door for my guest bedroom. 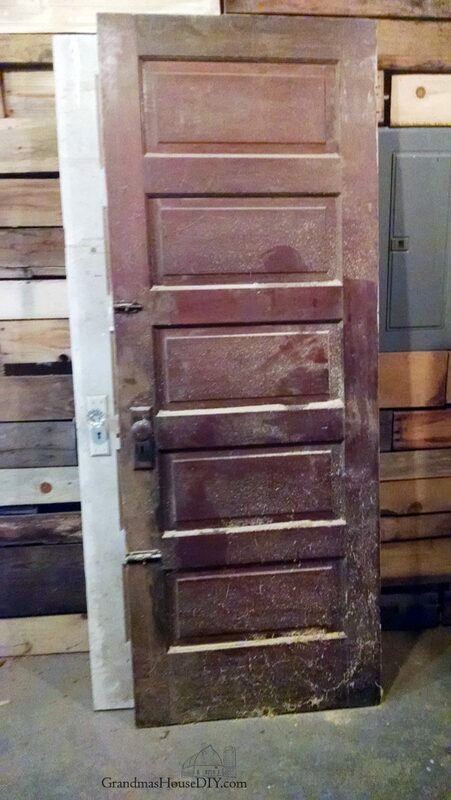 I have a confession to make – I’m actually a pretty terrible procrastinator… I’ve had two doors in my workshop literally since before I even moved in here waiting for me to cut them to fit and refinish them for my house. My master bedroom has never had a door on it (its on its own floor so its never been weird) and the other room that still needed a door was my old office which is now becoming my new guest bedroom and library which, ya know, REALLY DOES NEED A DOOR. 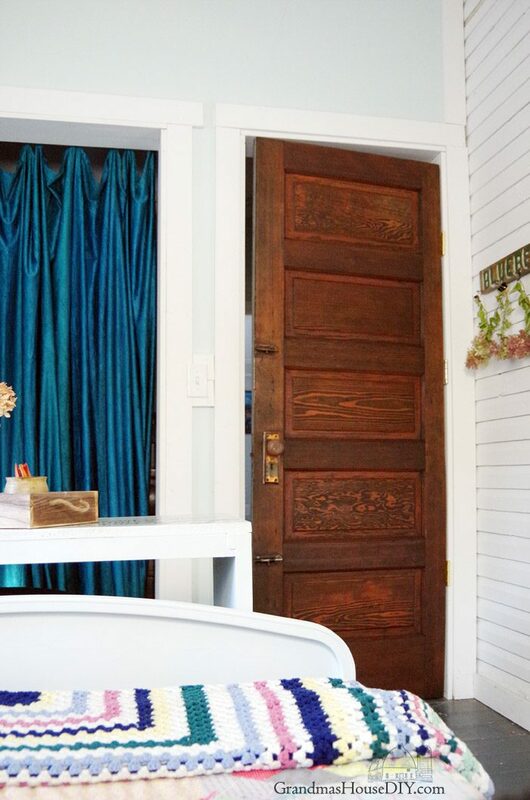 There were two doors left of my stash of doors for this home one of them was an interior door with a gorgeous glass knob that just HAD to be my master bedroom door. (You can see that one peaking out from behind the one in this post in the next pic.) The other door was this one I’m working on today. 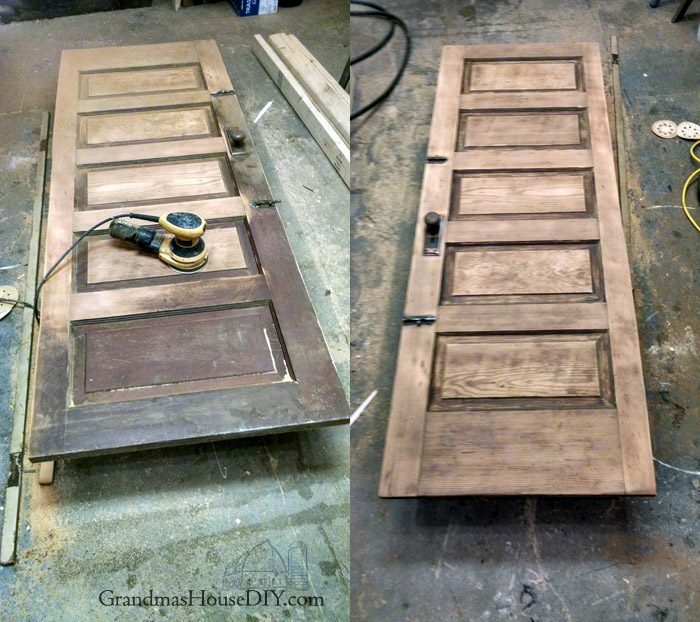 It is an old exterior door that needed lots of love. But the handle worked and when I flipped it over my heart leaped, one side had never been painted! 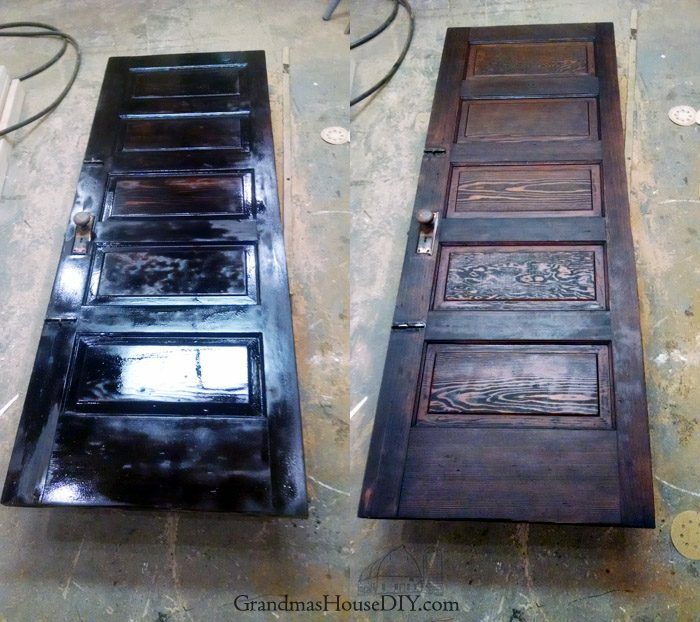 I always had the plan to not even try to refinish these old doors back to solid wood because they had so many layers of oil based ancient paint on them that I just didn’t want to mess with it. And I always wanted the doors in my house painted black anyway so that was my plan: paint all my doors black. But when I saw that wood I just couldn’t do it, I had to try and get it to bare wood and stain it back to its former glory. Then I sanded for an hour and a half and cussed myself out the whole time for not using paint stripper instead. 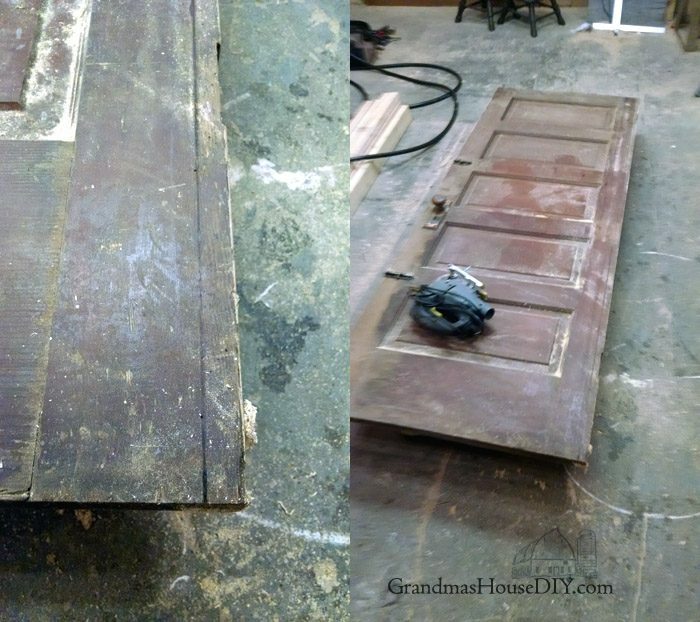 These old oil based finishes are TOUGH – I used a lot of sand paper. I started with 40 grit and finally finished with a 200 using my Dewalt orbitol palm sander. After staining it with dark walnut stain by minwax I put two coats of a satin poly acrylic on it, let it dry for 24 hours, flipped it over and then painted the painted side with two coats of a gloss black rustoleum. After that I added the hinges and it was time to hang it! You only need to know one trick when it comes to hanging doors and that is: THE HINGE SIDE HAS TO BE PERFECTLY LEVEL. After that you don’t have very much to worry about. As long as wherever those hinges are getting screwed into is level in every way then you know your door will hang without drifting open or closed on its own. This is true of the door as well, the door needs to be “standing upright” so keep your level close. 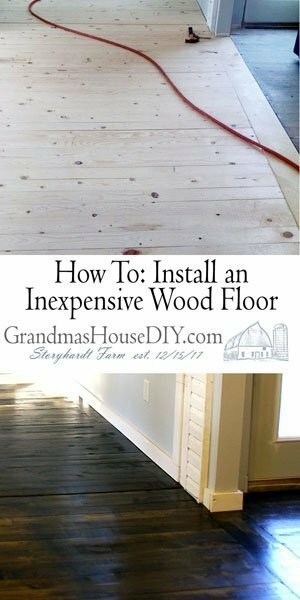 I do this by putting in the top most screw in the top most hinge and then adjusting the door with a level on it before adding a screw to the center hinge. Another tip is to not drive your screws in too far initially, if you over tighten them they can pull your door out of plumb. Does it need to be perfect? Heck no. But its good to at least do your best! I am a long ways from perfect around here, lol. 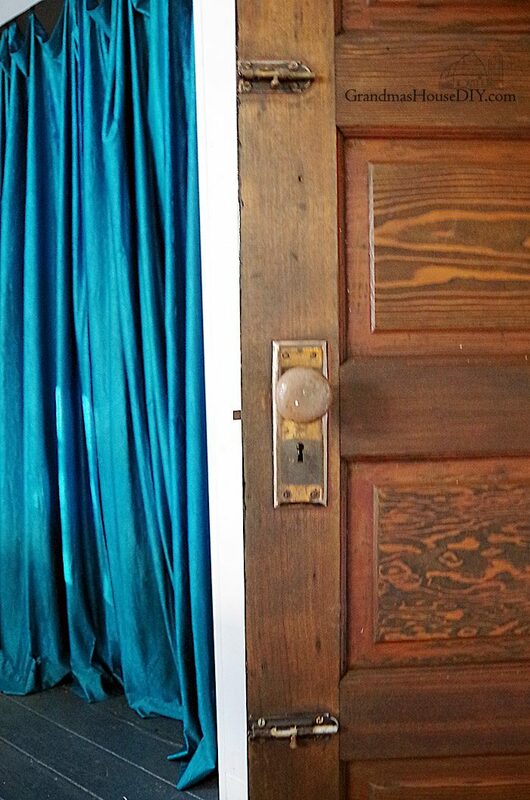 With my newly refinished old door hung I actually feel like I can have guests now! 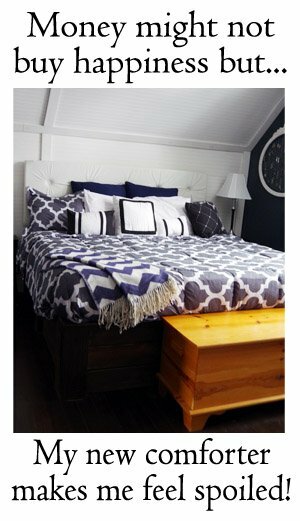 Coming next week the FINAL completion and reveal of my new guest bedroom and library! I’ve hung a door, once, and I think I’ll keep it that way. It was more work than I originally thought it would be. You are right, tightening the screws too much pulls it out of wack far too easily. 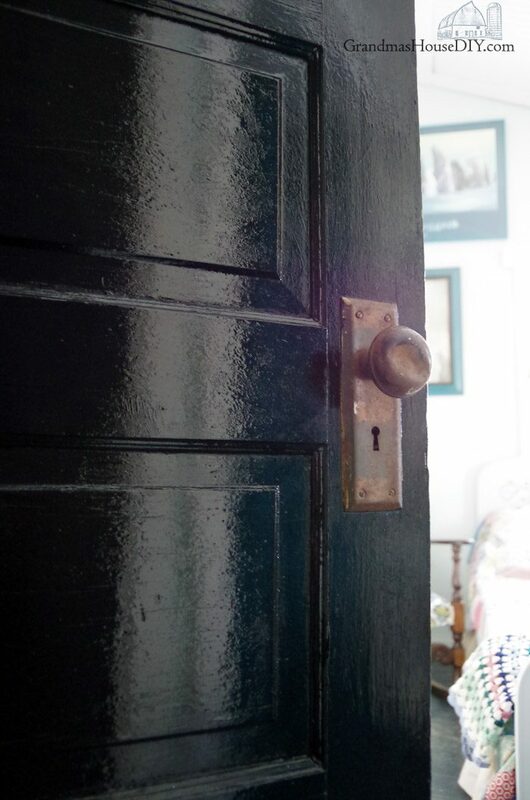 Beautiful refinishing on the door! Looks gorgeous. I have to admit I hired someone to replace my doors. Yours turned out great. By the way, I understand about pulling out the jigsaw instead of using the circular or table saw. Thanks Debra! Yeah, I kinda hate my circular saw I’ve known too many people who hurt themselves on those darned things. Tarah, you always dazzle me! Wow! I couldn’t hang a door if my life depended on it! 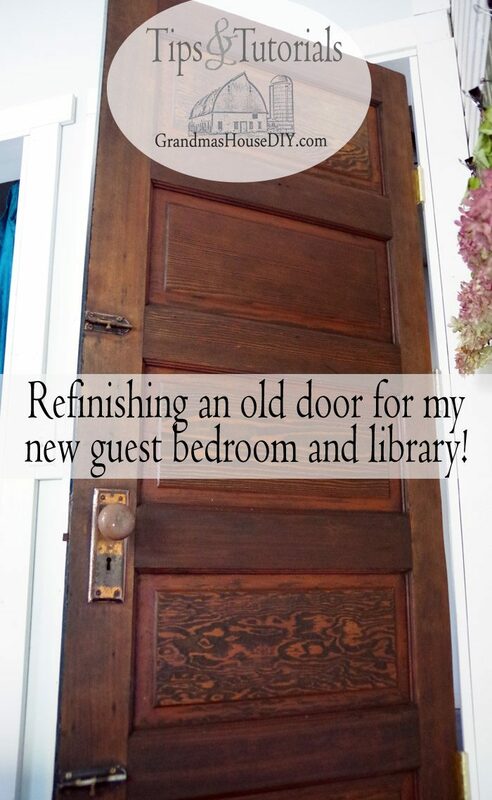 I love that you were able to resuse old doors for this project. Original things have so much more character than new! Thank you Leanne, looking forward to the completion of this room finally, have a great weekend! You are a hard working girl! My dad has refurbished two houses that were a hundred plus years old. 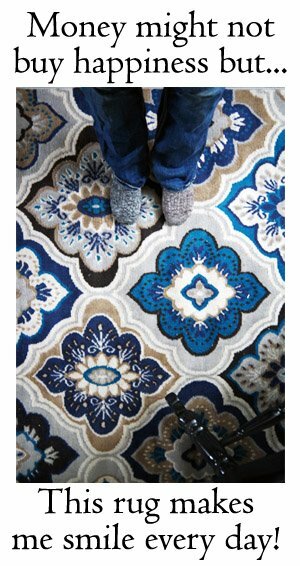 It took years because, like you, he did almost all of it himself and on a tight budget. It’s so worth it though if you have that love and passion. Keep going girl! Thanks Stacey, it was a TON of work but so worth it in the end! I can only imagine how much elbow grease it took to remove all that old oil paint. Thanks for the tips on hanging doors. It always seemed like an incredibly precise project to undertake. Amazing door! You have put alot of sweat equity into this dear old home, and it is beautiful. Thank you so much Kathryn, have a wonderful week!! Great job–you are always such a go-getter (procrastinating is a sign of genius–I should know lol). Thanks for sharing at Party in Your PJs! Thanks Donna, have a great week!! Thank you Sharon, have a great weekend! Am so envious of your knowledge, talents and ability to tackle whatever you make up your mind to do How special to use old doors, nothing else compares. Love how your door turned out after all your hard work. Good thing you know what you are doing. I am forbidden to use any power tools besides sander due to terrible lack of strength, bad hands and lousy depth perception. Nope,have to leave it to Mr.Furry which means he takes advantage of my lackpf skills. Will do things for me when and if he pleases.. mostly not, grumble,grumble. Thank you JaneEllen! I certainly do not always know what I’m doing lol but I’ve found that now with the house remodel done I have much better instinct than I used to!